Animated movie about yes, those faces on your phone couldn't be more meh. But Tony Leondis' The Emoji Movie, a very, very dumb thing, comes nowhere near that magic combination. When Adam Sandler outclasses your high-concept, high-tech functions, it’s time to switch to a flip phone. 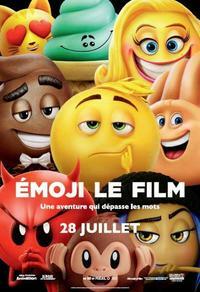 The Emoji Movie is a demonstration of artistic abdication at its most venal, but will the kids like it? The cartoon ideograms from your smartphone get their own animated adventure, but do they deserve it? Actually, they deserve better than this witless 'Inside Out' knockoff. This is a film that seems beamed from a near future in which nothing goes right (...).